Pontos Requerido: 1750 Os jogos não são compatíveis com dispositivos móveis e tablets. Por favor adicione este título à sua Lista de Desejos e inicie a sessão na sua conta the first club desde um computador para concluir o processo de solicitação. NOTICE: Requires the base game Kona in order to play. Activation key must be used on a valid Steam account. Requires internet connection. NOTICE: The game is VR compatible with a virtual reality headset HTC Vive or Oculus Rift. 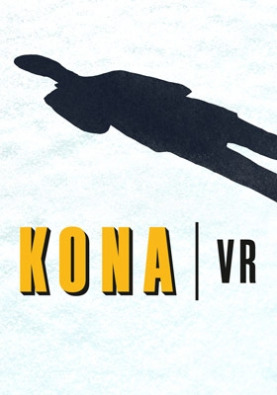 About the gameExperience the eerie and chilly atmosphere of Kona, now with Oculus Rift, HTC VIVE™ and motion controller support! Step into the shoes of dete… ctive Carl Faubert to explore the mysterious surroundings of Atamipek Lake, investigate surreal events, and battle the elements to survive–all with the enhanced immersion of virtual reality! Key Features Experience Kona’s many mysteries from an entirely new perspective Rotate and inspect objects using Oculus Touch or VIVE™ motion controllers Navigate the Atamipek region in either comfort or normal mode, allowing both beginners and experimented VR players to fully enjoy Kona’s vintage look and feel Get behind the wheel and drive on atmospheric wintry roads reminiscent of 1970s rural communities Continue your existing non-VR playthrough in VR thanks to cross-save support between the two modes System Requirements Windows - Minimum OS: Windows 7 SP1 64 bit or newer Processor: Intel i3-6100 / AMD Ryzen 3 1200, FX4350 or greater Memory: 8 GB RAM Graphics: NVIDIA GTX 970 / AMD Radeon R9 290 or greater DirectX: Version 11 Storage: 5 GB available space Additional Notes: Compatible HDMI 1.3 video output Windows - Recommended OS: Windows 7 SP1 64 bit or newer Processor: Intel i5-4590 / AMD Ryzen 5 1500X or greater Memory: 8 GB RAM Graphics: NVIDIA GTX 970 / AMD Radeon R9 290 or greater DirectX: Version 11 Storage: 5 GB available space Additional Notes: Compatible HDMI 1.3 video output Developed by Studio Parabole Inc. Kona is a trademark of Studio Parabole Inc. All other trademarks, logos and copyrights are property of their respective owners. All rights reserved.